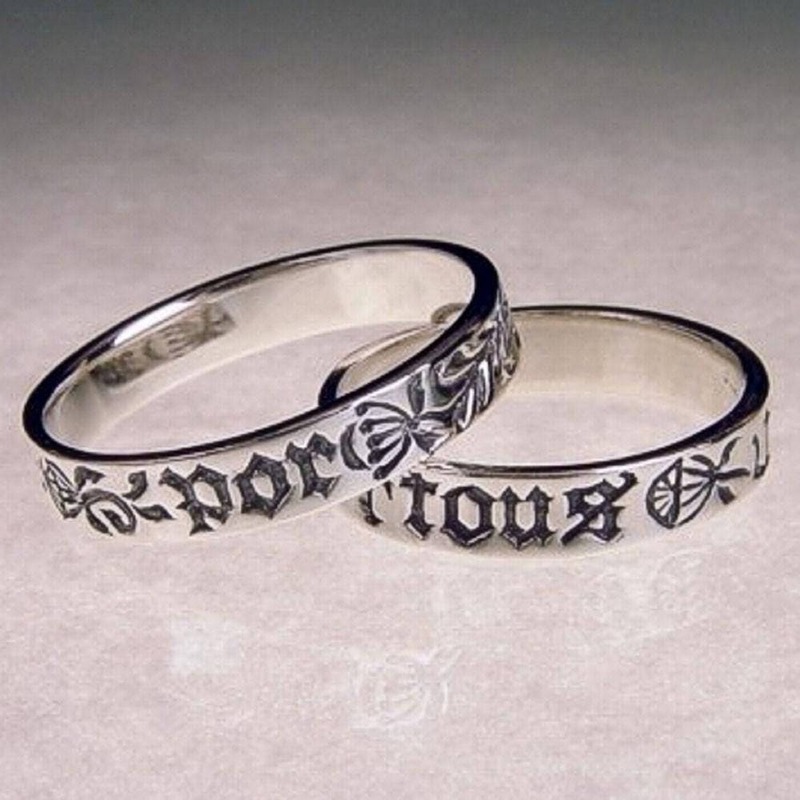 Forever Sterling Silver Poesy Ring - Medieval French Norman - 15th c.
"Por tous jours" is the French inscription and translates to "Forever" or literally, "For All Days"
This ring is derived from the lettering and decoration of an original medieval poesy ring, engraved in period French in a blackletter script with a decorative medieval floral motif. Norman French remained the language of the English nobility until the late medieval period, and the ring itself was probably made in England although the poesy inscription is in French. Whatever the language, the message is pure and simple.